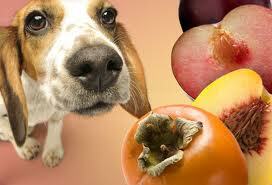 How to Improve Dog's Skin & Coat with a Diet Rich in Fruits, Vegetables and Supplements. Diet plays an important role in maintaining the health of the skin. A balanced diet should supply all the nutrients needed to build health and fight ailments, and to reduce the risk of illnesses. Almost all fruits and vegetables contain a large percentage of water, which is just one reason why to include fresh fruits and vegetables in a dog diet. An ideal diet should provide adequate quantities of all the nutrients essential to health using fruit and vegetables that are good for dogs. Essential for healthy dogs hair and eyes. Derived from carotene (pro-vitamin A) it is one of the major antioxidants found in nature and it is a fat-soluble vitamin. This vitamin is essential in neutralizing the actions of free radicals or unstable molecules. This nutrient also helps to prevent signs of premature aging of your dog. It is needed for tissue, mucous membrane and skin cell formation. It is important for protecting the dog skin and eyesight. It also helps to prevent and clear infections. Vitamin A deficiency can lead to dry, coarse skin. It is found in green leafy vegetables and red, orange and yellow vegetables ( spinach, carrots, pumpkin, squash ) and many fruits (cherries, melon, peaches and nectarines). Carrots are one of the most delicious and nutrient rich vegetables good for dogs protecting their skin. They are the most recommended vegetable for protecting the skin. They are a great source of antioxidants, rich in beta-carotene, vitamins B1 , B2 and C. They also help to further protect the skin against ultraviolet rays, especially for fair skinned individuals. They also increase our resistance to infections, stimulates the production of red blood cells and keep the vision healthy. Keeps the skin-band hair healthy and helps to prevent damage caused by free radicals. This nutrient is vital for growth, it plays an important role in cellular reproduction and helps to keep the red blood cells healthy. A deficiency can cause a number of clear symptoms such as lack of energy, nervousness and depression. Found in yeast, vegetables (spinach, cabbage), cereals (wholewheat flour, wheat germ), nuts and seeds (almonds, soy seeds) and animal based foods (beef, liver, turkey breast, pork), and dairy foods (cottage cheese, soft cheeses, yogurt and skim milk) . Vitamin B Complex – Contains B1, B2, B3, B5, B6 and B12. B Complex helps to maintain dog's function of the muscle tone, nervous system and gastrointestinal tract as well as the skin, coat, eyes, liver and mouth. All B vitamins are water-soluble. This is the most important vitamin for dog's immune system and for the formation of cells and body tissues. Vitamin C is water-soluble, our bodies don't produce or store this vitamin. It's absorbed better if accompanied by other minerals. Vitamin C rich foods are: citrus (oranges, tangerines), broccoli, red peppers, cabbage or Brussels sprouts, tomatoes, guavas, currants and rose hips, kiwi fruit and strawberries. Vitamin D – Essential for dog's eye health, muscle development and gastrointestinal health, and is considered a fat-soluble vitamin. Vitamin E – Essential for the protection of dogs against free radicals and considered an antioxidant, and is fat-soluble. Free radicals are one of the major cause of cancer that affects 50% of dogs over 10 years of age. Mineral supplements are also essential, including: Calcium – An essential nutrient for nursing mothers and puppies, calcium helps with bone growth and joint strength. Fatty Acids – Helps to prevent problems with skin and coat, and they also have anti-inflammatory properties. Make sure you purchase a quality supplement that is all natural, with no artificial ingredients. It's never too late to start your dog or puppy on vitamin supplements. The additional cost will be worth it in the end when you see your dog showing signs of being happier and healthier. You will actually save in the end, because you'll reduce trips to the vet and be able to enjoy the company of your pet for many years to come. There’s a broad array of factors that can lead to excessive shedding and dry, flaky skin in a dog, but when parasites, fungal infections, and allergies aren't to blame, it’s likely that a dog’s dry skin is due to dietary insufficiency.“Many pet owners don’t’ realize what a huge effect diet has on a dog’s skin and coat. There’s many dog owners who believe all dog foods are essentially the same, but that’s just not the case – all dog foods are not made equal and not all foods are going to fulfill a dog’s individual dietary needs,” explained Dr. Michael Levine. A healthy diet that fulfills a dog’s dietary needs will eliminate problems like a dog’s excessive shedding and dry, flaky skin. Many dog owners will also find their dog scratching and itching much less. And among the most noticeable changes involves shedding – dogs with a balanced diet will shed much less, reducing the amount of fur that ends up on clothing and furniture. Then there’s an array of other health benefits that extend beyond the skin and coat, including a stronger dog immune system, better overall health, and more energy.Take into consideration each dog’s individual needs when choosing dog vitamin supplements. Puppies and young active dogs need different nutrients than older dogs. There are a number of simple changes that dog owners can make to reduce their dog’s shedding and to improve the dog’s dry, itchy and flaky skin. Dr. Levine offered the following tips to help dog owners to improve the condition of their dog’s skin and coat. Add fresh foods to a dog's diet. Fresh foods like meats and vegetables are high in nutrients and vitamins, which will help to improve a dog's skin and coat by improving overall health. Consider adding fresh meats, and good vegetables and fruits like carrots, celery, broccoli, apples (with no seeds), and greens like kale to each meal. Always introduce new foods gradually to avoid stomach upset.Pay attention to hydration. A dehydrated dog is going to be prone to dry skin, among other health problems, and some dogs simply don’t drink what they should. Provide extra fluids by serving wet food or by hydrating dry food. Fresh vegetables also have a high water content, aiding further in providing moisture to the dog's body. Provide extra oils since it can greatly improve the condition of a dog’s itchy or dry skin.Add a skin and coat supplement that will provide oils and nutrients that are vital to combat a dog’s dry skin and excessive shedding. Add a multivitamin to the dog’s diet and this will help to combat any nutritional deficiencies that the dog’s body is dealing with. And a complete, balanced diet will lead to a dog with healthy skin and coat, in addition to a robust immune system and good overall health. For a beautiful coat and skin, give your dog vitamin supplements. Just because you feed your dog a high quality dog food does not mean he has all the vitamins and minerals he needs. Many dog foods contain by-products that become toxic, increasing the effects of “free radicals”. Free radicals can cause health problems such as heart disease, arthritis, cancer and seizures. Fruits and vegetables good for dogs and vitamin supplements contains all natural ingredients with no additives is the key for your dog nutrition.